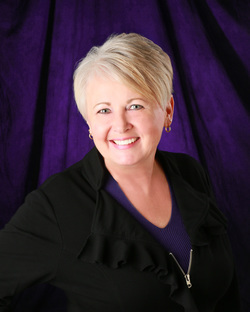 Professional Info - I have lived in the Tri-Cities since 1979. I have 11 years of banking (Gesa Credit Union) experience, and was a Senior Director with Home Interiors and Gifts for 13 years as an Independent Sales Consultant. I helped many women decorate their homes through home parties, personal appointments, decorated business offices, and assisted builders with decorating for Parade of Homes. I spent the 5 years between personal business ventures, working full-time at Liberty Christian School as the Office Manager and Director of Admissions, while doing weddings and prom flowers on the side. In January 2012 I "officially" began operating Flowers by Kim full-time, by appointment. As you can see from the Glimpses, I love what I am doing and have helped hundreds of brides bring their wedding vision to life. I began designing silk floral arrangements while I was with Home Interiors and it became one of my specialties. I started making fresh flower corsage and boutonnieres many years back for my daughter Amber and her friends for homecomings and proms. I decided to follow my passion and creative outlet after a daughter got married 6 years ago. In 2011, I worked on call for a local flower shop for a year, helping with weddings, special occasions and floral holidays. I have established my client base through client and vendor referrals, bridal shows, word of mouth, and social media. I especially enjoy doing weddings and receptions. I have a workshop and consultation room built onto my home to meet with potential clients for complimentary consultations.